Do you celebrate Hump Day? The day which we strive to survive in order to see the weekend on the horizon. We sometimes celebrate it (any excuse to have a wine during the week!) - especially if it's been a tough few days. Whilst I enjoy my week of work, I do look forward to Friday night and my weekend. We celebrate the week @ 5pm with champagne & chips, reviewing what was great and plan out the weekend. What I want to differentiate is that some folk whinge, whine or worry about their week and on the weekend do the same about the following week! I'm not saying they are negative folk, they are expressing their unhappiness about their current state of being. I offer you a tool which you can use with those who you hear being unhappy about their work/life. 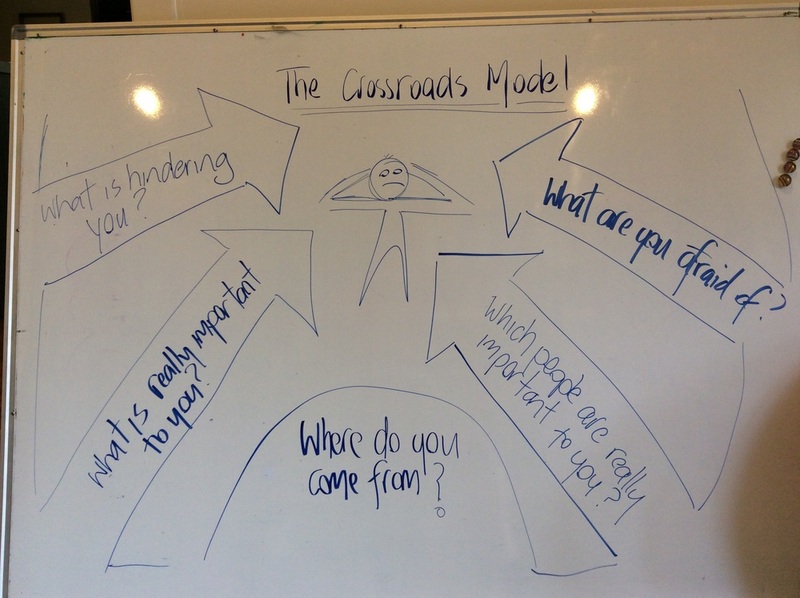 It's a conversation model which opens the opportunity to discuss how to make decisions, choices, changes, when faced with a crossroad in life. It can be completed individually but we all know that we 'put off' these types of activities. So, if you can take the lead and do it together, you would be really helping both of you. If this helps you or a colleague then our Driving Your Life program is a vehicle to make decisions in life. We use numerous reflective and conversation tools to choose the right road to take. Connect with me to learn about our program.